Learn to draw the fun way! Like almost everyone in the world, you are bursting with raw artistic talent just waiting to be released. In a few deft sweeps of your pencil, capture the character of your 'victim'. Use swift strokes to create a face that has instant appeal. Exaggerate the features to make a comical caricature. Brighten up someone's day with your own tiny bit of magic! "Yes, you can do it," says Mark Linley, "and I show you exactly how!" Learn to draw the fun way! Like almost everyone in the world, you are bursting with raw artistic talent just waiting to be released. In a few deft sweeps of your pencil, capture the character of your 'victim'. Use swift strokes to create a face that has instant appeal. Exaggerate the features to make a comical caricature. Brighten up someone's day with your own tiny bit of magic! 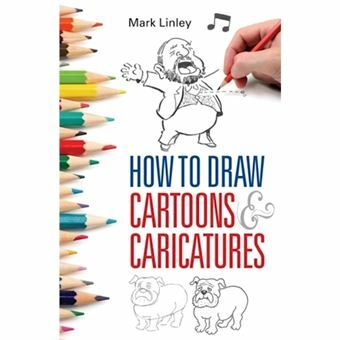 "Yes, you can do it," says Mark Linley, "and I show you exactly how!"